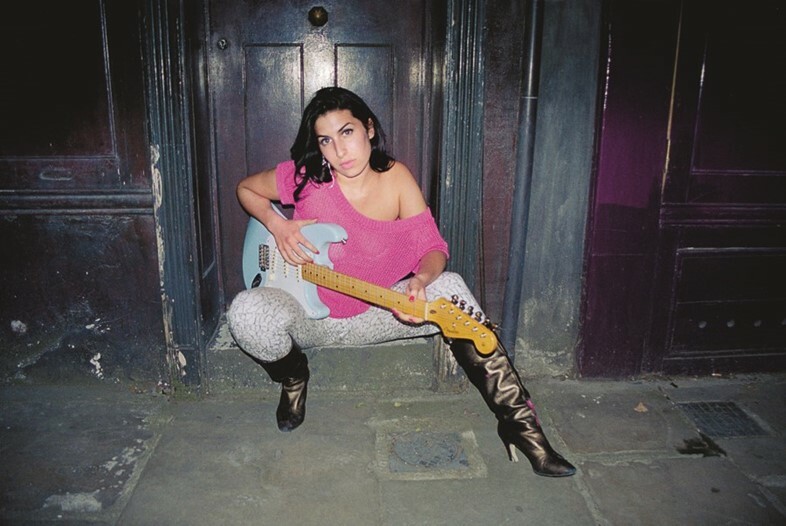 In an interview with Dazed last year, photographer Charles Moriarty shared memories of his friend, Amy Winehouse, as he spoke about his first photobook, Before Frank – which featured an introduction by Dazed’s Ashleigh Kane. Moriarty befriended Winehouse in 2003 when she was a 19-year-old local singer on the cusp of fame after being asked to take some photographs of her in London and New York for her debut studio album, Frank. Now, the photographer is releasing Back to Amy, which features a collection of unseen photographs of the late singer from those sessions. Back to Amy: An intimate portrait of the real Amy Winehouse brings the world a step closer to Winehouse’s unique energy and vitality. Alongside the new images, Moriarty has included a series of new sections, which include words from Winehouse’s mother Janis, as well as band members, and many others who were close to her. Despite Winehouse’s confident and carefree demeanour, Moriarity says he had seen the singer’s vulnerability. Her sensitive nature, he believed is what was exploited by many and what led her to such a tragic end. He said, “Amy had things in her life that weren’t all correct and there were issues there, but to then use that as a weapon against her was just upsetting to see. Sadly, I don’t think the media will ever learn from that.” He adds that it’s through these books that he hopes to show the world the real Amy Winehouse.